Are you like me and sit up late at night, wondering if it’s an ethical dilemma to pay influencers to say cool things about your brand? 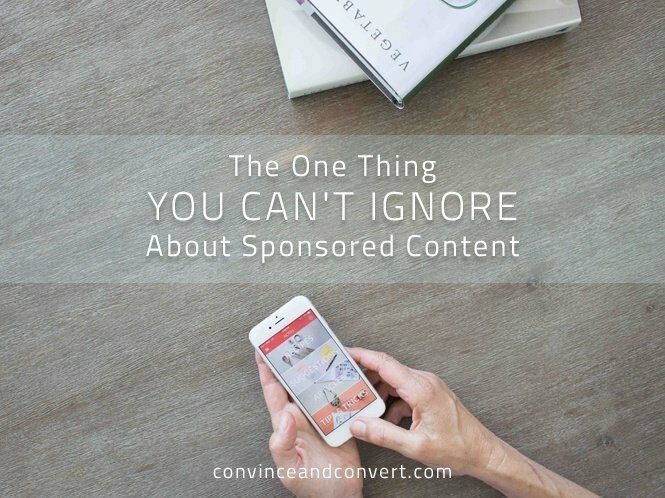 Or, if you decide to sponsor some posts, will those pieces of content really even work? When I set out to research this ginormous question, I started compiling a survey of questions to ask other marketers. While I was typing and plotting and planning, I realized the question isn’t a matter or marketing opinion. The question of whether or not brands should pay for content is best asked of the actual influencers. Logically, I surveyed over 5,000 influencers to get their input on content authenticity, and the results surprised me a bit. When it comes to my marketing philosophy and speculations, it is no secret that I have always advocated for a more organic and relationship-building approach to influencer marketing. And I still do. But after chatting with thousands of influencers, I am changing my mind a bit on the topic of paying for posts from influencers. As is the case with most things, the answer is not black and white, and it comes with a giant “IF”. The giant IF: Paying influencers for brand recommendations works IF it is part of a relationship-nurturing approach to marketing. To make sure that your brand is powering a successful influencer marketing machine—one that incorporates influencers who feel compensated and brand mentions that feel genuine—it is crucial to make sure these three components are in place. Power an opt-in network: A network that funnels brand fans into your database is key. CTAs on the homepage, social invites to register, etc. encourage natural brand fans to opt-in to your brand’s communication. Nurture marketing relationships: Once an influencer has been added to your brand’s contact base (your opt-in network, influencer outreach, etc.) all relationships should be monitored, tracked, and nurtured to keep up brand love and communication. Vet for love: Before someone is added to your brand’s database of contacts and considered a “marketing relationship,” they should first and foremost have a sincere and authentic connection to your brand. Some brands send an influencer a free product or co-create content before formally teaming up. If it were up to me, brands would absolutely pay influencers for their hard work and valuable brand lift. But they would only pay influencers who they already have a relationship with. Download the full research report that I put together here. It’s the most valuable piece of content I’ve created yet. Weigh in on this topic by tweeting your opinions on paying for influential posts to GroupHigh on Twitter.